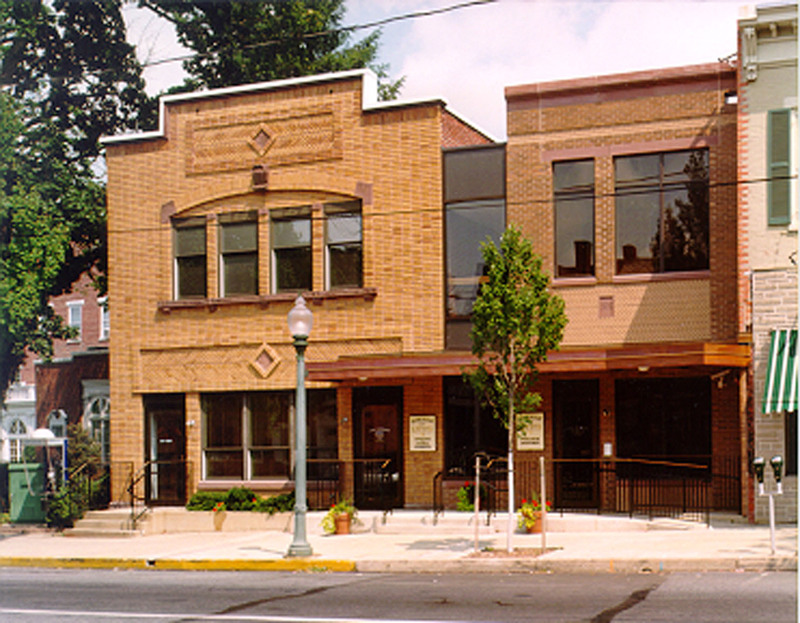 An adjacent townhouse was acquired to provide much needed expansion room for this downtown facility. Due to structural deficiencies of the townhouse it couldn’t be adapted for reuse and was demolished to provide the expanded site area. 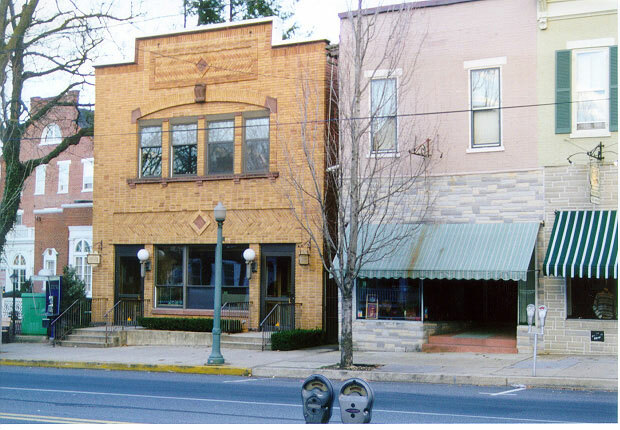 Because of the urban location in an historic downtown area, many restrictions and regulations needed to be adhered to in the design and construction processes. In our redesign we maintained the ambiance of the streetscape while reconfiguring all internal spaces to take maximum advantage of natural light provided by additional windows placed according to specified restrictions. Other interior areas were expanded, added, and reconfigured to meet the broad range of uses for the staff and public access. Before starting our designs we looked for ways to express and take advantage of the open alley between the buildings. The four-foot wide alley was transformed into usable space with a new wall of dark tinted glass where we could connect the existing building to the new space constructed where the townhouse had been. The greatly expanded new public meeting room is used for a variety of purposes. 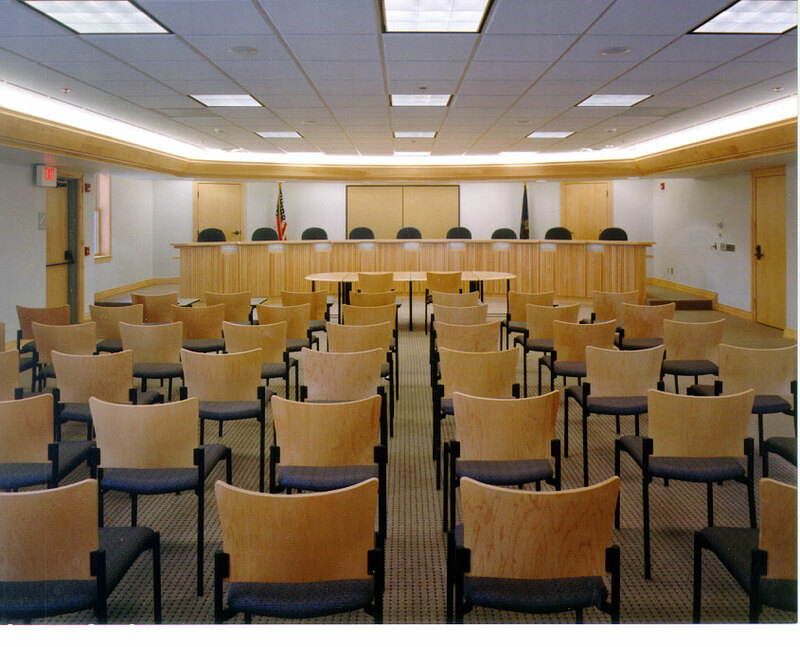 At meetings with borough officials the raised, curved dais at the front of the room makes it easy for officials to interact during the meetings. Stackable chairs, in light wood tones with comfortable padded seats, make it easy to set up the room to accommodate anticipated meeting attendance numbers. Because the room orientation is parallel to the street, we could increase the size of the room beyond what was available in each of the individual properties. The reception desk for borough offices has been transformed into a light, airy, welcoming place for visitors coming to conduct business with the borough. 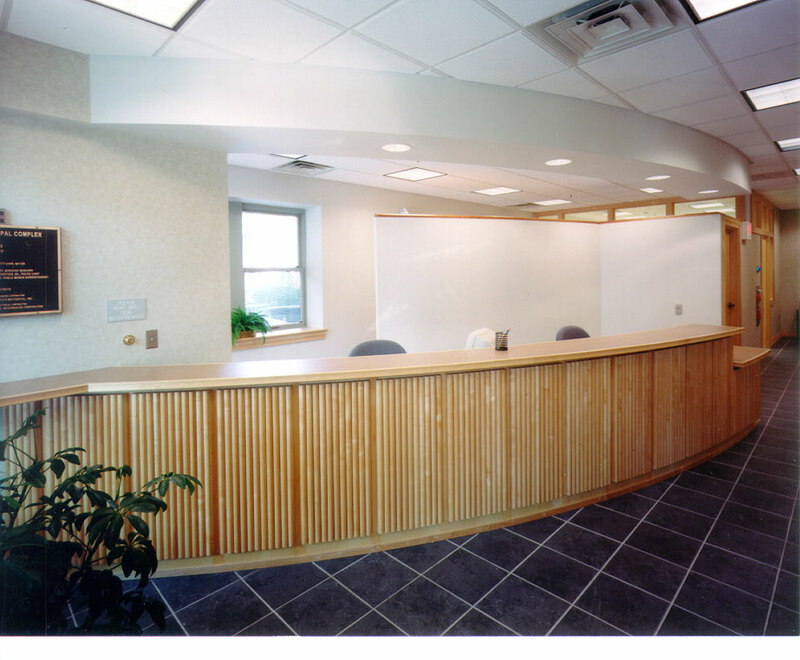 The low arc-shaped front desk provides privacy for staff while still making them accessible to the public. Offices located down the corridor have glass transoms above the doors to bring in light. The dropped soffit and soft recessed down-lighting provide a consistent level of light in the area, regardless of the time of day. 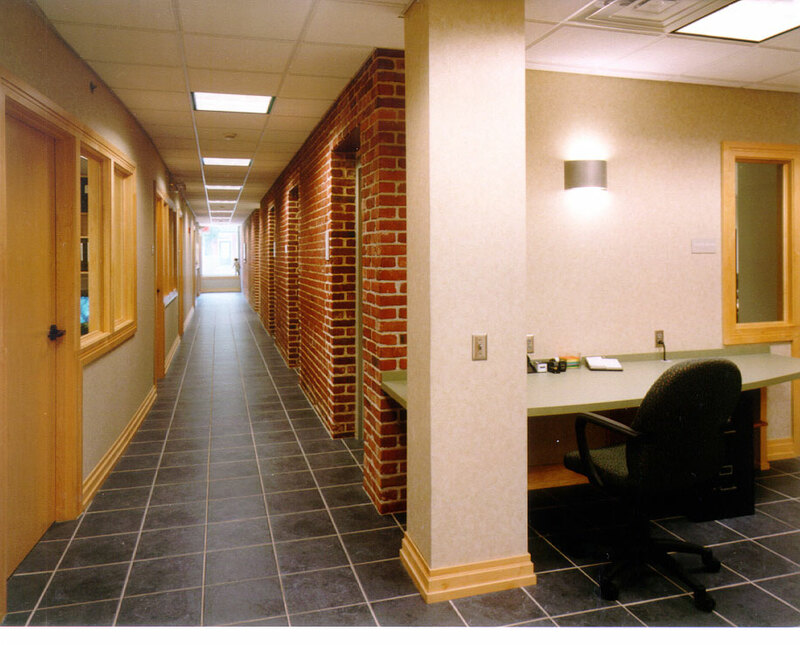 Slate tile floors were used throughout the facility as a unifying design feature. The new area created by closing up the old open alley way was redesigned as the main corridor, connecting the Police Station with the public entrance. By retaining the brick façade of the building we integrated it as an historic architectural feature within the new interior.